Kenyans on social media have vigorously reacted to a Facebook post belonging to one of the grandaunts in a local university went viral. 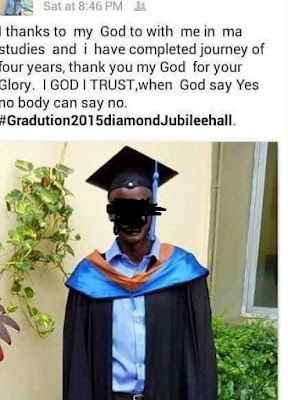 The lad took to social media to express his happiness after his four years in University but how he expressed it he totally killed the ENGLISH and this has raised doubts to many whether the guy was even in school since he could not construct a comprehensive English statement. Ata wewe umeandika for years!!! Did you mean four?